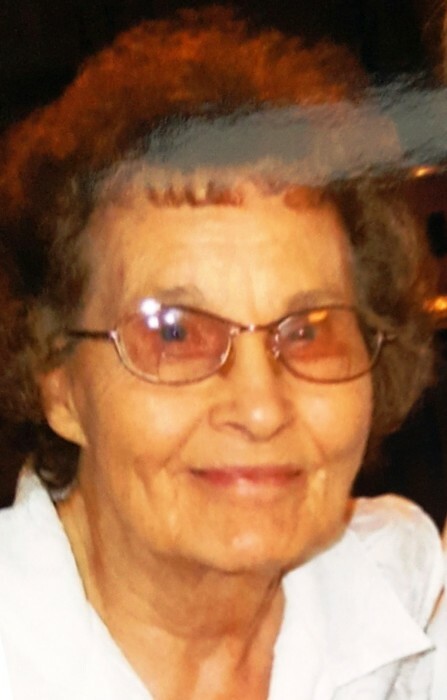 Anne Catherine Lane, age 88 years of Niles, Michigan died peacefully at 7:45 a.m. on Thursday, September 13, 2018 at Royalton Manor in Saint Joseph, Michigan following an extended illness. She was born on March 17, 1930 in Bardwell, Kentucky to Mose and May (McClure) Lang. She was graduated from the Cairo (Illinois) High School, and has lived in Niles since 1947. She was employed for many years at the former Niles plant of Simplicity Pattern Company. As a young mother, Anne attended the Apostolic Faith Assembly (now New Vision) in Niles under the leadership of the late Elder W. J. Coad. She was very talented with the crochet hook, producing many beautiful doilies, tablecloths, and bedspreads. She enjoyed traveling with her family to visit relatives, and is well remembered for her never failing generosity to relatives, neighbors, and strangers. On June 13, 1946 in Mississippi she married Thomas Glenn Lane with whom she celebrated earlier this year the remarkable Seventy-third anniversary of their wedding. Surviving family includes her husband, Thomas G. Lane and their children, Rheba Jo Peare of Elida, Ohio and Thomas Michael (& Terri) Lane of Watervliet, Michigan; grandchildren Ronald Dean (& Amanda) Peare, Eric Michael (& Alisha) Peare, and Kaleb Michael (& Stephenie) Lane; great-grandchildren Gavin, Neve, Jadon, Olivia, Aubrey, Jesse, and Jakeb; Anne’s sister, Emmajean Parham of Paducah, Kentucky, and many nieces and nephews. She was preceded in death by her siblings, Charlie Lang, Henry Lang, Denver Lang, Lucille Muhundro, and Dorothy Conroy; and by a son-in-law, Ronald Peare. The memorial service for Anne Lane will be at 6:00 p.m. on Wednesday, September 19, 2018 at the Halbritter-Wickens Funeral Home, 615 East Main Street in Niles with Pastor M. Trent Avance of the Apostolic Christian Tabernacle in Niles officiating.